"Turnaround" is the estimated time it takes to complete the IRB review and determination process. The U-M Institutional Review Boards (IRBs) fulfill their goals to protect human subjects and support the design and conduct of sound research by reviewing and approving IRB submissions for new applications, amendments, and continuing reviews. All projects that meet the definition of research with human subjects (45 CFR 46.102)(link is external)) must be reviewed and approved by an IRB, or receive an exempt determination, prior to beginning the research. The IRB staff initially screens submissions to determine the completeness and the appropriate type of review. Submissions may be returned to the study team for changes before the review type is assigned. The review type may be reassessed at any time during the review process. The IRB posts submission deadlines for upcoming IRB meeting dates. If an application is “board ready”, meaning that it contains all of the information and materials necessary for the full board to conduct its review, the application will be assigned to the next IRB meeting date (see Related Information to the right for schedule links), except where the agenda is already full or a reviewer with the necessary expertise is not available for that meeting. IRB staff assign submissions to a primary and secondary IRB reviewer for presentation at the full board meeting. Investigators may be invited to attend the meeting to answer questions from the board. At the conclusion of the meeting, the board votes and issues a determination for the submission. Approved: the application is approved as submitted. The approval date is the date of the IRB review. Approved with Contingencies: the application is approved, contingent on submission of specified changes to the protocol, informed consent document(s) and/or other supporting materials. Final approval status is granted when the IRB has reviewed and approved all requested changes. The date of the "approved with contingencies" determination is deemed the date of approval. Action Deferred: the IRB needs additional information from the investigator before the IRB can make all of the determinations found at 45 CFR 46.111 necessary to approve the study. The principal investigator must submit the requested additional information before the IRB will consider the application for further review. Disapproved: the protocol does not provide adequate protection to human subjects, and it is unlikely that it can be modified to provide such protection. The IRB notifies the principal investigator of the disapproval in writing, including a statement of the reasons for its decision, and provides the opportunity for the investigator to respond to the IRB in person or in writing. Tabled: the IRB full board did not have time to review the application at the convened board meeting. The application is placed on the agenda for the next convened meeting. Applications qualifying for expedited review are assigned to an expediting reviewer, an experienced IRB member appointed to the role by the IRB Chair. The expediting reviewer has the authority to make a determination or to refer a submission for full board review for multiple purposes (e.g., clarification, expertise), including in cases of disapproval. Only the full board has the authority to disapprove a study. Most studies that qualify for the expedited review process do not require annual Continuing Review. In addition to the Approved and Approved with Contingencies determinations (described above) reviewer may issue a Changes Requested determination, when substantial changes to the application and/or materials are required before the expediting reviewer can approve the study. Per university policy, investigators must submit an IRB application for determination of exemption before research begins. Applications are routed for exempt review through the Interaction/Intervention application or the Secondary Use application types. 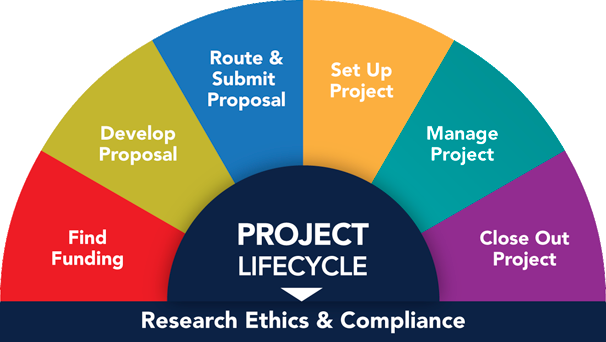 IRB-HSBS recommends using the Brief Protocol for Exempt Research Projects (download) to provide an overview of you exempt project or as a data entry guide when completing the IRB application. Projects that meet the criteria for a federal exemption category (45 CFR 46.104) or for a U-M exemption #5 may be granted a determination of exemption by the IRB, or where applicable, through the self-determination review process. The review determination, whether conducted by the IRB or system-generated, is limited in scope to the information necessary to determine if the proposed exemption applies. The IRB does not review informed consent documentation or recruitment materials for proposed exempt studies. Exemptions may be granted by the IRB Chair, expedited reviewers, or (in most cases) qualified IRB staff members. Projects receiving an exempt determination are not subject to the Continuing Review process. Amendments are required only if the changes to the project would alter the exemption criteria. An exempt determination does not lessen the researcher's ethical obligations to subjects as articulated in the Belmont Report or to the codes of conduct for specific disciplines. The Common Rule provides a Limited IRB Review process, which is a required expedited review of subject privacy and data confidentiality for exempt 2 and 3 projects that collect or use sensitive and identifiable data. An exempt determination is issued once the expediting reviewer confirms that these protections are acceptable. For some exempt research, the Principal Investigator is permitted to issue a system-generated exemption determination letter (i.e., use a self-determination process), based on repsonses to key questions in the IRB application. The IRB does not review self-determined projects, however the U-M HRPP may conduct a post-determination validation audit to ensure the exemption criteria are being applied in accordance with regulatory requirements and that the potential risk to human subjects remains minimal. Investigators may choose not to issue the system-generated determination letter but, instead, choose to csubmit a study for an IRB determination of exemption. Not all research-related activities that involve people, their data, or their biospecimens are covered by the regulations governing human subjects research. Hoever, investigators may wish to submit a brief eResearch IRB application for a formal “not regulated” determination for funding or publication purposes; or, the investigator may be able to issue a system-generated determination letter without submission to the IRB. For a complete list of not regulated research activities, see the HRPP Operations Manual, Part 4.